Monday, Thursday & Friday 9:00 a.m. - 7:00 p.m.
Tues & Wed 9:00 a.m - 5:00 p.m. Awesome! Thank you very much for your quick address fix!! I have been trying to order many things online and your website has been an absolute delight to use. I live in the Cayman Islands, have a Canadian credit card and am shipping to the USA. This combination has proven to be a nightmare on so many websites that claim to be internationally friendly. I appreciate you actually participating in a true global economy!! The staff at Mommy Gear are fabulous... Helped me find exactly the right sizes and had an excellent selection to choose from! Thanks so much again! Mommy Gear is just amazing!! I'm a big busted gal and finding a comfortable nursing bra was hard!! But the gals at mommy gear were so helpful with my first baby and the service I just received when ordering a replacement bra for my second baby due to be born soon was AMAZING!! I will continue to support this business for a LONG time!!! This is my 2nd order & I could not be more impressed with the speed of deliver (my package is scheduled to arrive today!) & the customer service I received. Particularly with this order - I clicked something I didn't mean to click & ended up with a bra I didn't want in my order & you contacted me before I even had a chance to call & ask you to remove it from the order! You guys do an excellent job & I will always shop @ Mommy Gear & 100% recommend to anyone I know! I am first-time customer to your site. I am pregnant with my second child and recently ordered a bunch of nursing bras and some pajamas. I just wanted to tell you how impressed I am with your business. I placed my order Wednesday night and it came in the mail on Saturday! Additionally, your selection and prices are fantastic, and your return policy is very reasonable. Everything fit wonderfully and I am thrilled. Thank you! Thank you for providing a place to buy a modest, nice, affordable nursing accessible swimsuit. It has taken me more than 7 years and 4 children to accomplish this. I look forward to searching out more of your products in the future. Thank you so much! I just want to send a note to say that I've been very impressed with your store and service so far. This is my 2nd order and both times I have really appreciated all of the follow up and communication and also the quick delivery! I will make sure to tell all my friends about your site. Q Do you publish a printed catalog? A We don't publish a printed catalog because we are constantly updating and adding to our Mommy Gear website. Plus, maintaining the online website instead of a catalog helps us to keep our costs down, which allows us to keep our prices lower, too. To receive weekly sale information and promos please tell us your e-mail. 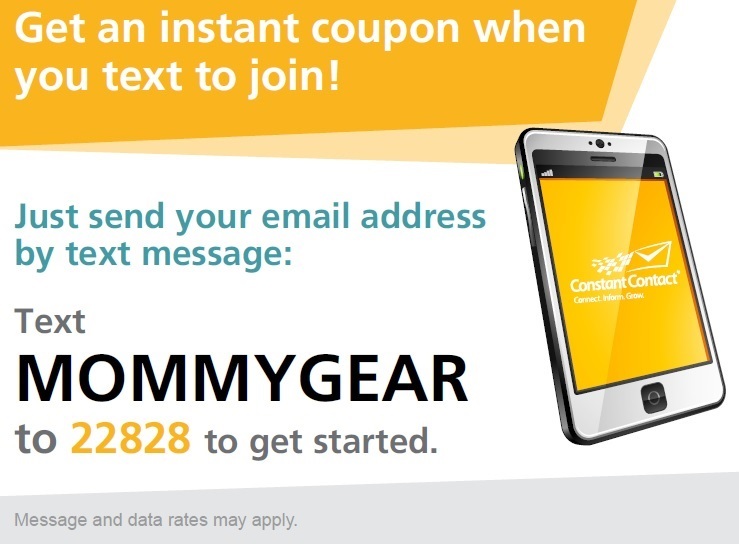 Mommy Gear Guarantee--We want you to be 100% happy with all your Mommy Gear orders. If you are not, we will gladly exchange or refund your purchase within 30 days (15 days for Sale Items due to limited quantities). We simply ask that clothing has not been worn or washed and be returned in it's original packaging and tags. Due to health regulations, you cannot return personal use items such as breastpumps, pump spare parts, breastshells or nursing pads. Easy Exchange--If you would like to exchange an item for a different size, color or style, please fill in the blanks on this Easy Exchange Email and we'll get the new item on its way to you right away. We offer free shipping to send out a different size nursing bra or clothing item. 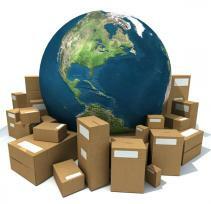 We'll email your tracking information as soon as your exchange is on the way to you. If you have any questions please give us a call at 1-888-624-GEAR. "Thank you for the Easy Exchange Option. 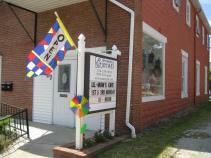 I was thoroughly impressed with the ease and speed of all my transactions with your business. 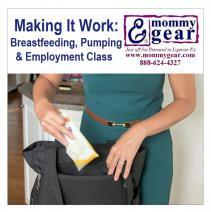 I will continue to shop Mommy Gear's site and recommend it to others." Returns--When we receive the item that you would like to return, we will credit your charge card on file. We will also send you an email letting you know that the credit has been made and giving you a credit memo number. The credit will appear on your next card statement. Shipping charges are not refundable on returns. Returns received after 30 days will be charged a 20% restocking fee. Please include your name and sale number and whether you would like to exchange or return the item. Thanks for helping us donate $5 for every nursing dress we sold during December to Best for Babes Foundation. Best for Babes is beating the Booby Traps that prevent Moms from achieving their personal breastfeeding goals. Check out their website for great info and support for all breastfeeding moms. Dodge those Booby Traps! In honor of our store manager, Carolyn, Mommy Gear donated $1 for each pair of Pedipeds sold in March to the American Cancer Society Relay for Life--Ligonier Chapter. Join us in the fight against cancer!